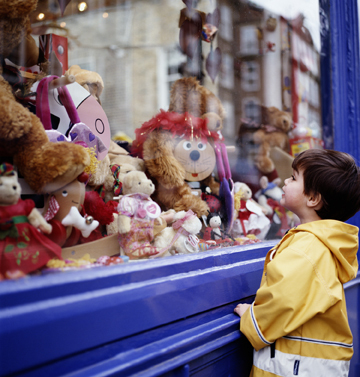 The first time a child walks into a toy store it is overwhelmed with possibility. The thrill of moving from the confines of a few toys on the bedroom floor, to never ending aisles of new objects is universal. It can be seen, the same expression on every child’s face. Joy, curiosity, exploration. Although humans eventually outgrow their toys, the thrill that comes with new discovery remains indefinitely. It drives humanity to achieve visualizing an electron, and leave a footprint on the moon. However when this curiosity turns inwards we find that all our questions have already been answered. When a child explores its body it is taught about sin. When a child explores love it is taught about marriage, and when a child explores life it is taught about ambition. Our children grow up and life becomes a toy store, but our children medicate, and divorce, and overwork. There is no thrill in that and the question remains, have we simply just taken the thrill out of the toy store? It would be as difficult for a penguin to live in Africa as it would for an elephant in the Arctic, and so each property in nature has its own path. It follows it perfectly, nature flows. Anything that flows chooses the path of least resistance. We use that property, electric currents move much better across metal than plastic and so our wires are made of both. Streams trickling down the easiest terrain condense into gushing rivers that can power whole cities. Movement is always favored towards the direction that is easiest, because that is where it is most potent. It is even applicable at the atomic level with diffusion and spontaneous chemical reaction. It has shaped the demographic of every thing on Earth and in the universe. We are perhaps the only creature that goes against every instinct, emotion and impulse that drives it. We resist our true nature. We do not look like ourselves, we choose one out of a magazine. We do not believe in ourselves, we believe in religion and similar organizations. We are not in love with ourselves and so we live with global warming, poverty and war. We are even the only organism that practices suicide. In nature resistance has only been observed among species that have gone extinct, and here we are headed in the same direction. The large hadron collider is the largest machine ever built by man. An underground metal tube that goes around in a circle covering 27 km (17 miles), 296 football fields. It generates enough speed to smash two electrons into tiny bits allowing us to study the building blocks of life. This is how far our curiosity to understand has taken us, and yet still its findings have only proven how much we don’t know. How far we are from the truth even with our most advanced guesses. We have created technology to understand and make our lives easier yet here we are in the 21st century and all we want to do is sleep under the stars, like our ancients did. Perhaps they just understood how fragile life is and chose to live full every day, not needing to know any more than that. When a child runs into a toy store there is no fear, no guilt, and no shame. It is overwhelmed and it is that joy in its eyes that drives us to live for our children. Through their innocence we are thrilled once again, we are alive. If I allow myself to immerse in experience there can only be one direction, the easiest. It is the path that lights up our world. Humanity has flourished only when it was at its most receptive. I will have faith in that until every piece of my DNA is reading like music. I am a simplicity beyond the years of my body. I am of love. I am of peace. I am of abundance, just like you. We are born naked a canvas blank to what might be, and as we river into our innocence may we paint a masterpiece.